I thought that some people might like to see what I’m currently working on. 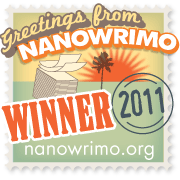 Posted on December 2, 2016, in Hellequin book 7, Writing. Bookmark the permalink. 28 Comments. Nate being my favorite character, which implies that you are my favorite writer, I wish to give you all my mental energy to make you do a great job, again. Looks like you’re using Scrivener? I hope to see a whole bunch of chapters in there soon! Also I have a dream, I suppose like many people, to write a book but never got the time to do it and even if I did I’m sure I will never get close to your level. It’s not really an Avalon Crimes Division, it’s something a bit different to that. And yes it does tie in to Hellequin. sorry I didn’t use the right name for it. wishing u and your family the best of holidays!!!! My apologies as I thought I’d replied to the email. I’m not sure if or when Warbringer will be out. It doesn’t have a publisher yet, so once my agent has gone through it we’ll decide on how best to proceed. I hope it gets picked up next year so if that’s the case it’ll probably be out 2018. Hope you and your family have a happy holidays too. I stumbled upon this series while trying to find something to listen to at work. I absolutely love them!!! I’m wondering if you already know how things are going to end and you are just needing to come up with what goes in between now and the end, or are you coming up with everything as you write? Just curious. Thank you so much for an excellent read, or rather, listen. Hi Jessica, I usually have an idea about what’s going to go into the book before I start it. I have a list of events and things that need to happen, but I don’t always know exactly when those things will occur. Hi Steve, I just wanted to say that I really love these books Ive read them all multiple times and am really looking forward to Scorched Shadows. Seen as how this is sadly that last of the Hellequin chronicles will we finally be finding out what Erebus actually is, who Nates father was and is Zeus still alive? The last one has been bugging for through all the books so far lol. I am, like everyone else commenting, a big fan of this series. I was just wondering if you had a general idea about the release date of this next book? Huge fan of the series and its immersive world. Love that the series has taken me to researching about the various mythical characters you incorporate. Is this going to be the final book in the series or do we still have a few more to look forward to after this? Congratulations on the 100,000 copies of Crimes Against Magic sold as well. Hi Andrew, I’m glad you’re enjoying the books, thanks for the kind words. Yes, this is the last Hellequin book, but not the last Nate book. This comment is very interesting. It will be the last Hellequin book you say? I have suspected that Nate will eventually grow out of the Hellequin identity, and become something “more”. What he’s meant to become, his real identity. Your comment leads me to believe that that’s what will happen in this next book, and that subsequent books about Nate will not be Hellequin books because Nate is no longer Hellequin. Oh thank you, thank you, thank you!!! I am SO happy to hear that this will not be the last novel featuring Nate!! I was actually depressed when I heard that this would be the last Hellequin novel. This series did such a wonderful job of developing characters and the “world of Earth/Avalon” that it would be a shame not to continue…..This series really, really impressed me…..I look forward to reading all of your books that feature Nate. Is there anything we can do to help with development? Cookies?, Rum?, etc.? LOL!! 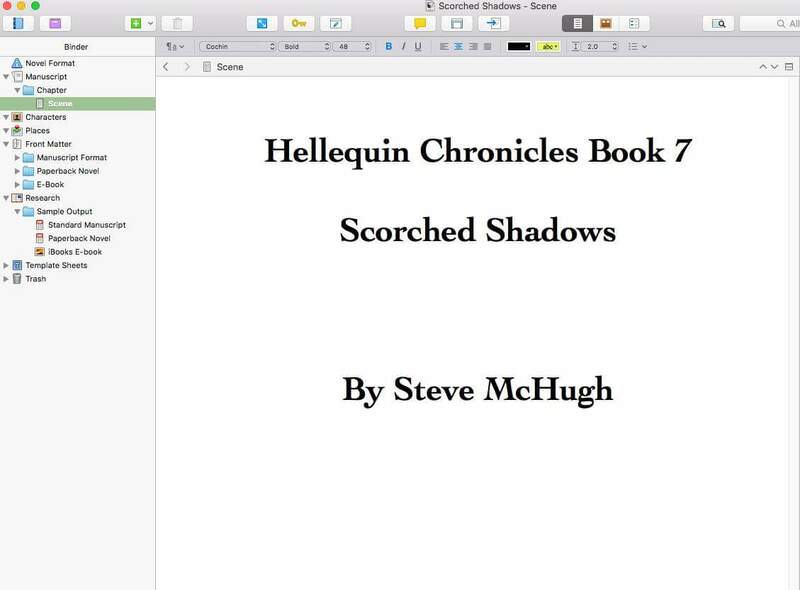 Hi Steve , loved your hellequin series and really can’t wait for the next one . Please please please hurry up lol and don’t make it the last one!!!!! Wouldn’t be much to look forward to if you did that 😞🙏🙏🙏🙏. When will I be able to buy it ??? Hi Steve, I know you don’t want to spoil anything in the next book, but I was wondering if we’re ever going to find out what happened to Zeus? I understand if you aren’t willing to share that information. Awaiting book 7. Bring it forth. I am from India and just fell in Love with Hellequin.. Did a binge reading five times and on my way to sixth.. Kindly release a Synopsis..
Can’t wait for the 7th one and thank you so much for continuing Nate..
Keep smiling and God Bless..